Deeply sown into its winding and weaving sentences exists a curious commentary about the state of sociological discourse in the 21st century. There is a feeling that something needs to be done, a person must continually be on the way to and from a diverse range of activities that often act as filler for some nonexistent greater value in a person’s life. But why? Sometimes a piece of literature inevitably answers the question that so many ask but never seek an answer. 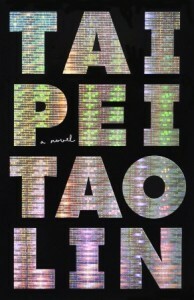 Taipei peels away the conceit and achieves the almost precarious and impossible act of chronicling how we, as social members of a society, are placed in the constant position of social judgment. Every direction we turn, there are stimuli that demand our attention and participation; more than that, we get the feeling that we, as individuals, are the ones responsible for how well, or how poor, we are able to relate to the stimuli. If we fail to take part, does that make us somehow inferior? Previous Post My Pet Serial Killer is one of Dennis Cooper’s favorite books of 2013 so far.